Baked in ramekins, these creamy mounds of eggplant unmold easily, a sure-fire hit for your next dinner party when you serve them on salad plates with extra sauce. 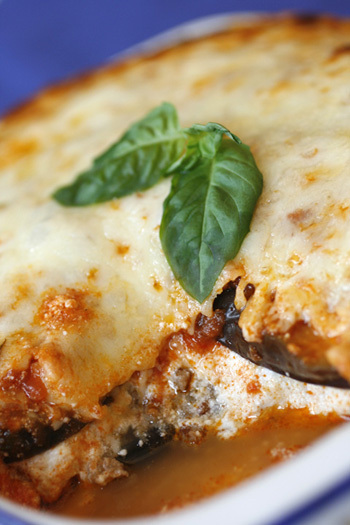 Any one who loves eggplant Parmesan will like this low-carb version. Peel eggplant and slice length-wise into 1/8 inch thick pieces. Sprinkle both sides with salt and allow to rest on a paper towel while you prepare the sauce and filling. With an immersion blender or in a food processor, puréed tomatoes, garlic, onion, vinegar, and olive oil. Season with salt and pepper and set aside. In a medium bowl, whisk ricotta and egg whites together. Stir in Pecorino and season with salt and pepper. Preheat oven to 350° F. Dry eggplant slices with a dishtowel or paper towel to remove the bitter juices. In a large skillet, heat olive oil over medium heat. Sauté the slices on both sides, 4-5 minute per side until the eggplant is almost cooked through. Place on a paper towel to catch the excess oil. Place the ramekins on a cookie sheet and bake for 35-40 minutes until the cheese begins to brown around the edges. Cool 1-2 minutes before serving. Nutritional Stats Per Serving (1 1/2 cup): 239 calories, 17 g protein,16 g carbohydrates, 11 g fat (5 g saturated), 32 mg cholesterol, 5 g fiber, 464 mg sodium. Make It A Meal: Serve with Roasted Lemon Asparagus or Sauteed Spinach. Totally Yummy, I love it. 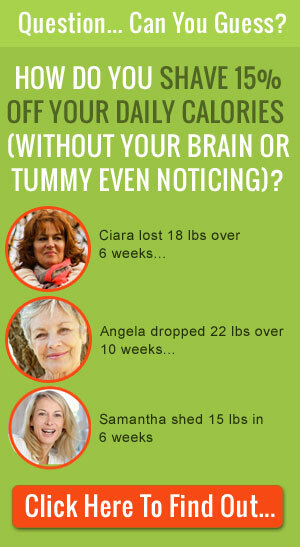 Jen – I’m obviously all over your site right now. 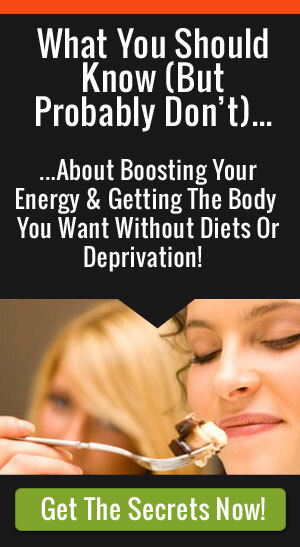 I have been looking for healthy – inexpensive – recipes…so important right now in this economy. Question: Can you also make this in a baking dish instead of the individual ramekins (I only have 6 and they’re 4 oz each). Will the baking time change? Thank you so much for checking out the site! Cooking can be a great way cash- the more you cook the more you save 🙂 Sure you can make it in one large dish. I would bake it 8 to 10 minutes longer if you go that route. I love making individual serving recipes such as this and would like to have a ready made go to lunch. Does it freeze well?